Landslides constitute a major geologic hazard because they are widespread, occur in all 50 states and U.S. territories, and cause $1-2 billion in damages and more than 25 fatalities on average each year. Expansion of urban and recreational developments into hillside areas leads to more people that are threatened by landslides each year. 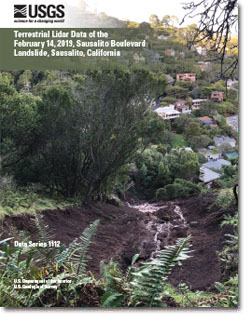 Landslides commonly occur in connection with other major natural disasters such as earthquakes, volcanoes, wildfires, and floods. The primary objective of the National Landslide Hazards Program (LHP) is to reduce long-term losses from landslide hazards by improving our understanding of the causes of ground failure and suggesting mitigation strategies. Brian Collins is a research civil engineer with the Geology, Minerals, Energy, and Geophysics Science center. Brian works primarily with the Landslide Hazards Program addressing a wide range of landslide issues including storm-induced shallow landslides and debris flows, deep-seated landslide mobility, and rockfall initiation.